The gamblers have always been trying to increase their chances to win more and for sure. It was the reason of creation the different cheating schemes. Past posting is an illegal way of playing a roulette game. This method is rather adventurous and is similar to other cheating methods as top hatting and laser scam. The "past posting" came to the roulette casino game from racing betting. Some bettors managed to delay placing bets and put them when the race had already finished. The cheater puts more chips on the table, when the ball has already landed in one of the pockets. To do this, one must be very audacious. When the winning bet is known, the cheater or his accomplice moves the chips into the winning pockets. Some legitimate bets should be also placed in order not to attract attention. There is also a variant of past posting, when the chips from the losing numbers are taken away when the winning pocket is known. The gamblers need to choose an appropriate moment to effectuate this scheme of cheating. It can be done when the dealer checks the number or when he/she is going to put the dolly. The best place for past posting is the end of the table, which is opposite to the wheel. Another suitable moment for such cheating is to divert the dealer's attention. For example, the gambler's accomplice can pretend to fall down. 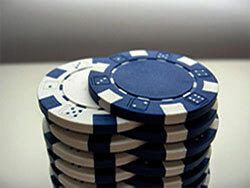 One can also start a conversation with a croupier, while another person will add or remove chips. The past posting can be effectuated in groups. The gambler's accomplice takes his/her chips and his/her "friend's" chips. He/she puts a late or an early bet with one hand, and with second hand he/she places another player's chips on the table. The dealer can ask to remove the chips. If it was a late bet, the player removes it, but leaves the second one on the table. This roulette scam is venturous, as casinos are equipped with modern, very effective systems of video monitoring. And when casino employees notice the conmen, the latter can be arrested and sent to prison.